HomeMerchant Cash Group | BlogUncategorizedCrowdfunding vs. Merchant Cash Advances – What’s Right for Me? Crowdfunding vs. Merchant Cash Advances – What’s Right for Me? If you need capital for a startup or a business venture, you may be thinking about crowdfunding your project. But if you already own a small business with strong cash flow, you may have a better alternative – a merchant cash advance! Not sure what’s right for you? In this article, we’ll discuss crowdfunding and merchant cash advance (MCAs), and help you understand why – if you’re eligible – an MCA is often the superior choice for small business funding. 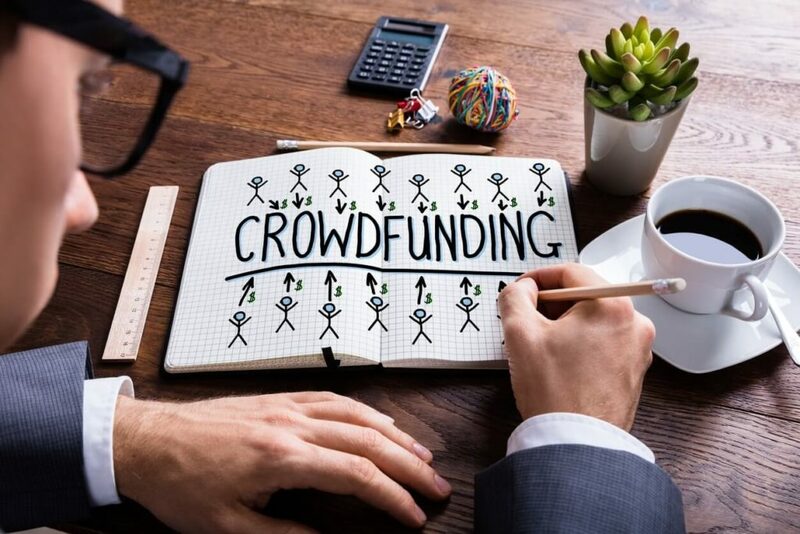 It may seem like crowdfunding is a really cheap way to get cash for a new business venture – particularly if you have a great idea. But this is not really the case. In addition, you don’t get to keep all the money you raise. You’ll pay up to 10% in fees – which is not exactly ideal. With a merchant cash advance, you don’t have to deal with any of these costs or fees. Yes, you may have a great idea. But running a successful crowdfunding campaign can be tough, even if you do have a great product that is sure to succeed. By the numbers, about 1 in 3 crowdfunding campaigns reach their fundraising goal. And just reaching this goal is no guarantee of success! Many companies, even after raising enough money, fail to execute on their vision, and they never bring their products to market. Not only is there no guarantee that you’ll get the money you’ll need, but the process of crowdfunding can take months. Most crowdfunding campaigns last at least 35 days, and some last much longer. You’ll also need to account for the time it takes to set up your campaign and prepare all of the necessary materials – and to get funding from the platform you used to run your campaign. If you’re already running a successful small business, or you have another job, running a crowdfunding campaign is going to take a lot of your time – time that you could be using to focus on other ventures, or relax. You’ll be spending hours per day answering emails, running SEO and SEM campaigns, working with designers to put together advertising materials, and more. A merchant cash advance, on the other hand, usually takes only a few minutes to apply, once you’ve collected the necessary documentation. You can get a decision in just a day or two and focus on your work – rather than advertising a crowdfunding campaign! Choose a Merchant Cash Advance for Fast Funding! We’re not trying to tell you that crowdfunding never works. Often, it does – with great results! But if you have the ability to qualify for a merchant cash advance, you may be able to get the money you need for your business venture much more quickly – and with far fewer strings attached! Just consider the benefits of MCAs that we listed above, and you’re sure to make the right decision. Learn how to get a business working capital advance here.